We’ve seen a lot of innovation over the past few years in how content is presented: Circa leveraging mobile to deliver evolving topics, Vox card stacks bringing context to news, and sites continuing to raise the bar for visual storytelling. It’s an exciting time, and there’s plenty more to come as companies continue to bring journalism and technology together. But while consumers are reaping the benefits of this content revolution, it seems like we’ve left creators in the dust. That gorgeous longform template with infographics and parallax effects or that streamlined feed of latest news is a great experience for the user, but they can be a nightmare for those building them. Editors are often left to their own devices, forced to navigate clunky CMSes and connect the dots between form fields and what users will see. That’s all starting to change. Medium was the first product to revolutionize both the writing and reading experience. Conferences and hackathons like ONA and SNDMakes help foster conversation and even create prototypes to improve the experience. The volume of content being produced, the speed at which users expect it, and the constantly growing list of platforms it’s pushed to demands a system that empowers newsrooms instead of holding them back. Create: Let them write! Medium is the obvious example, but the writing and editing process requires an immersive experience that elevates the content. The visual and interactive presentation of a story isn’t just the cherry on top anymore, and supplemental media like videos and images are an essential part of storytelling. Program: Landing pages, section fronts, news streams, related modules — the programming of a site or app requires editors to make quick decisions and know all the content available to them in real time. A five-minute delay in pushing a breaking story to the top of the homepage is an inefficiency that won’t fly anymore. Push: For most news sites, the majority of users will first interact with their content on a third-party platform — Facebook, Google, Twitter, Pinterest, email, or beyond. It’s increasingly important for editors to visualize how their content will be represented on these platforms, and to be able to push that content out efficiently. Media companies are finally realizing that content creators are their most important users. In 2015, we’ll see organizations focus on empowering their creators with systems and interfaces that treat them as as such. 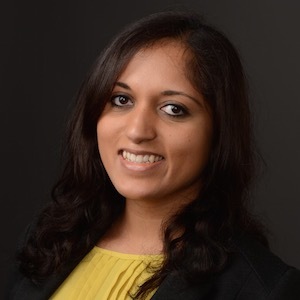 Dheerja Kaur is senior product manager at ESPN.com.